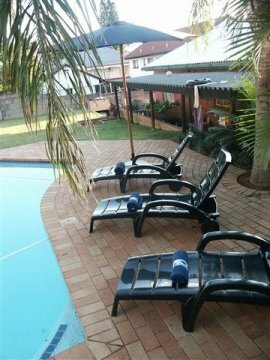 Whether your visit to Durban, South Africa is for business or leisure, your friendly owners, Leon and Nonnie Beneke, ensures attentive though unobtrusive service in the quiet and peaceful suburb of the Bluff. 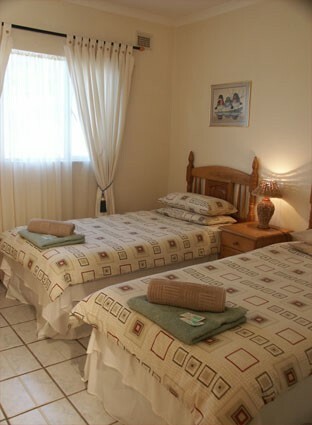 Choose from 2 spacious fully equipped, self-catering guesthouses sleeping 6 guests each comfortably OR from our 2 Double En-Suite Queen Rooms. That is 4 separate units, with modern semi sunshine breakfast restaurant, relaxing in an airconditioned apartment after a hot day around the pool.